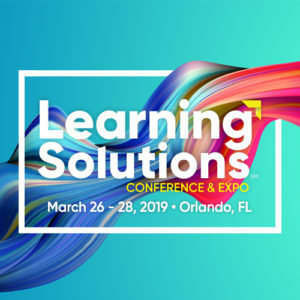 To expand upon proven practices and exploring what works at the intersection of learning and technology, Learning Solutions Conference is pleased to host four unique co-located events fully dedicated to some of the most important topics in our field. Learning Solutions Conference focuses on proven practices and exploring what works at the intersection of learning and technology. To expand upon this theme, we're pleased to host four unique co-located events! Learn More about each of these co-located events. Register Now to expand your career with these in-depth events.